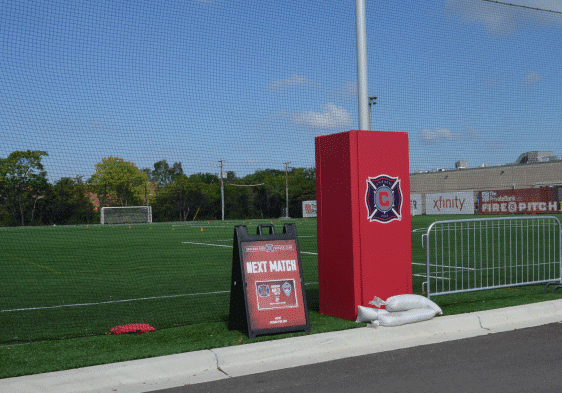 Chicago Fire redeveloped a vacant manufacturing building as well as adjacent sites on Talman Avenue along the Chicago River with a new sports complex. The 4.7 acre site includes parking, artificial turf soccer fields with a winter dome, access plaza along the river, and an amenity building to serve the site. 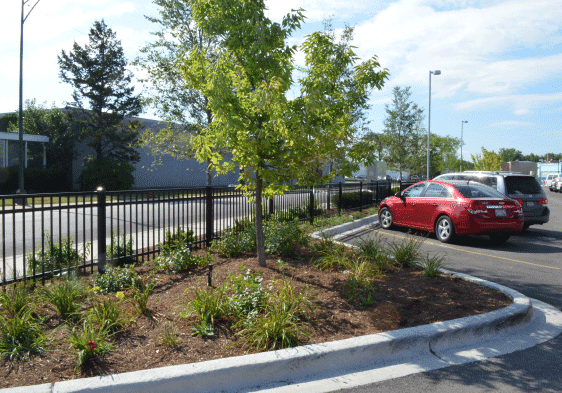 Upland Design assisted the design team through both phase I and phase II planning to create the outdoor river plaza as well as landscape plantings to meet the City of Chicago landscape ordinance. 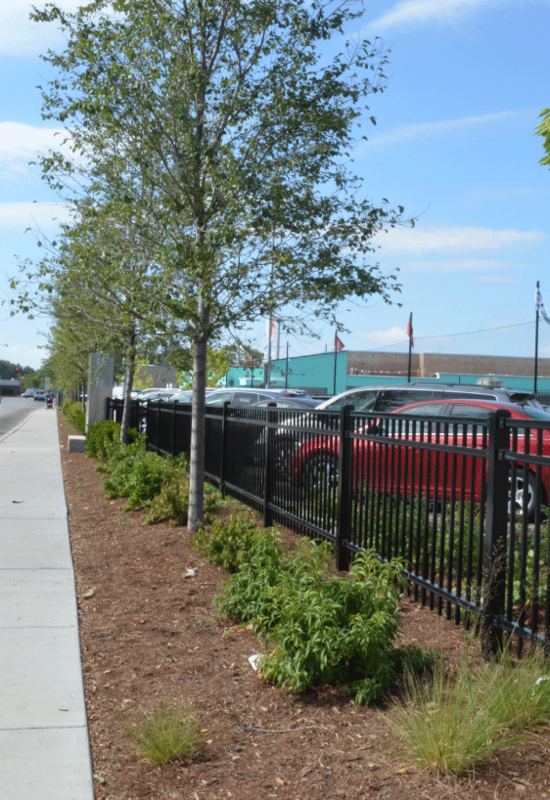 Plantings along Talman include shades trees, ornamental shrubs, perennials and ornamental metal fence which buffer the parking lot. Additional plantings were designed to enhance the building façade and the new river side plaza. Finally, planters were designed for the river side plaza where visitors can find seating and shade.